Congratulations to Susan D for winning a signed copy of The Journey! Watch your e-mail for a notification from me with all the details. A big thank you to everyone who participated in the Austenesque Extravaganza! I’m delighted to be a part of the annual Austenesque Extravaganza taking place during the month of September. 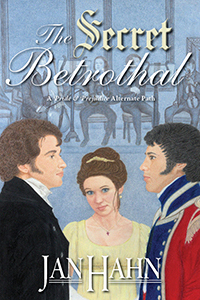 Cynthia Hensley and I have prepared a mash-up of her novel, Echoes of Pemberley and my latest, The Journey. Both books are about the Darcys, but they take place two hundred years apart. The same applies to our mash-up which we call A Lesson from the Past. We’re each giving away a signed copy of our respective novels, so be sure to comment on our blogs. The contest closes on October 1st and is open to readers in the United States. The attic door closed behind me with a thud. I shook my head in dismay when I saw the dust swirling at my feet, disturbed that Mrs. Meridell obviously had not ordered the storage rooms to be tidied for some time. Once again, Pemberley’s new housekeeper had been found wanting. “In Mrs. Reynolds’s day, the house would never have been subjected to such poor oversight!” I spoke more loudly than I had intended. Sighing, I picked up my skirts, attempting to refrain from brushing against the numerous bits and pieces of clutter, bric-a-brac, and stacks of possessions that had accumulated over the years. I wondered how many Darcys had banished items to the garret for the simple reason that no one wished to make a decision. Glancing at the book I clutched in my hands, I knew for certain that it was one item not relegated to the attic because of indecision. No, I had decided it must be carefully safeguarded, and that no one must read it for years to come. “Oh!” I stumbled and fell against an old dresser. Looking behind me, I saw that my skirt was caught on the ribs of an old parasol. Why ever was that umbrella left standing open? I worked to secure the release of my gown and was even more peeved to discover a small tear in the hem. By then, a long strand of hair had loosened and fallen across my eyes. After pinning it back into place, I looked about the storage room, searching for the perfect place to conceal my manuscript. A portion of the wall covering had loosened in one section. Perhaps I might tuck the book inside. Carefully, I slipped the pages within and attempted to shield them, but it would not do, for the bulge could be seen from across the room. Surely, the servants would discover it when next the place was cleaned. And it would be cleaned—I would make certain of that! After striding up and down the length of the attic, searching through drawer after drawer, beneath rugs, in between stacks of old quarterlies, bins of toys, and within numerous hatboxes, I was about to forfeit my quest. A perfect hiding place did not exist. I stared at the handwritten pages that I had stitched together. Perchance, I should never have written the account. It might be best if all was forgotten and left in the past . . . but no, it was my story, mine and Fitzwilliam’s. From the corner of my eye, I spied the great cumbersome trunk I had brought from Longbourn to Pemberley as a bride. I pursed my lips together while contemplating the possibility. The chest contained my memories, so what better home for this most private of memoirs? I made my way to the far corner, and since I could not open the trunk without kneeling, I sank down to the dusty floor. Lifting the latch, I opened the lid and began to smile. The faintest scent of lavender still lingered within, kindling impressions of the past and conjuring forth images of how Jane and I had placed the dried blooms amongst my gowns with such anticipation. How impassioned and excited I had been all those years ago! Impassioned to marry Mr. Darcy and excited to become mistress of Pemberley! I did not reply but chose to gaze at her with a steadfast eye and wait until she began to fidget and fuss with the locket hanging around her neck. At last, she exhaled loudly, a dramatic ruse she employed quite often. “Is that all?” With the briefest of glimpses, she tossed it aside. “And here is the Darcy christening gown that you and your brothers wore. It seems like it was only yesterday that I dressed you in it.” I unwrapped the white beribboned dress and held it close to my cheek. I smiled at her youthful comment. “As a girl, I did not keep a diary, and your father and I have rarely been parted, but I do have a letter or two of his.” I began to sort through the parcels in my hand, but she had already tired of the exercise and returned to the window. I looked up to see the sun glistening on her hair, bringing forth the touches of chestnut she had inherited from my mother. She laughed and hastened to assure me that she did not consider me old, that I was perfectly lovely, and the best mother in the world. Suddenly, the highwayman’s blonde curls and striking blue eyes appeared before me! Quickly, I lowered my head, turned away, and began to rearrange the contents of the trunk so that my daughter could not see the expression on my face. The purpose that sent me to the attic in the first place—my decision to hide the book I had written—had been correct. At her age, my daughter was far too young and filled with fancy to read the story of Nate Morgan and how he had abducted her father and me. I nodded as she closed the door behind her. Poking about in the past—perhaps that was an apt description of what I had been doing, spending all those months writing down the story of how Fitzwilliam and I had fallen in love, how we had been abducted by highwaymen, and how one in particular, Nate Morgan, had sought my affections. And yes, dear Beth, although you cannot believe it, I was young once, perhaps not as headstrong as you, but just as certain that I knew best. And how wrong I had been about so many things, especially your father! If I could just spare you from making the same mistakes I did. I pressed my lips together as I lifted the draperies and retrieved the pages I had stuffed between the folds of satin. One by one, I took each of the precious items from my trunk and laid them on the floor. With great care, I placed the little book at the very bottom and re-packed my treasures on top. It would most likely be years before any of my children cared to examine the contents of the old chest, and that was for the best. None of them were mature enough to read the account I had written. Beth, in particular, must not discover the tale at her present age, for she might consider the highwayman a romantic figure with his black cape, jagged scar on his cheek, and roguish air of charm. I, however, knew the true worth of a man. Neither cape nor scar nor roguish air made a man charming or romantic. I thought of my husband. He still made me tremble with the slightest look! After all these years, I could feel his eyes upon me even in a room filled with people, and I would smile, knowing that in the midst of entertaining guests he was thinking of me. It took but one touch, and I would be overcome with anticipation at the thought of being gathered into his arms. Was he romantic? Without a doubt, but far more important than romance were his essentials—his honor, his integrity, and his goodness. Slowly, I closed the old trunk, dusted off my hands, and shut the door to the attic behind me. I had instructions to give my housekeeper, but first I had a husband in need of gentle persuasion to dance with me at the Moregate Manor ball. Question: Of all Austen’s heroes, which one do you consider the most romantic and why? 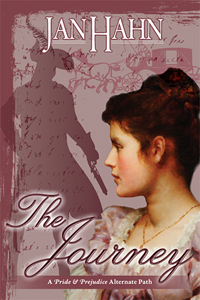 Leave a comment on my blog, and you have a chance to win a signed copy of The Journey. Thank you, Meredith, for your gracious invitation to participate in the Austenesque Extravaganza. I’ve enjoyed reading everyone’s posts throughout the month. Celebrating Jane Austen every day can’t help but make life brighter. My first novel, An Arranged Marriage, has recently been published by Meryton Press. It’s a what-if story focusing on my favorite Austen characters, Darcy and Elizabeth. Their strong personalities combined with their unfortunate beginning in Pride and Prejudice set the stage for fireworks. It was not difficult to divert their paths at Rosings Park and picture the conflict a forced marriage could produce. Just for fun, let’s pretend I have not yet selected which characters I should write about in An Arranged Marriage. Seeking inspiration, I have invited some of Austen’s heroines to tea. Anne Elliot: Do you have any idea why we have been asked to meet in this place? Elinor Dashwood: None whatsoever. I do hope whatever it is does not take long, for I was interrupted from unpacking. Elizabeth Elliot: You do your own unpacking? How horrid! I leave such things to Anne. She has nothing better to do. Marianne Dashwood: I do not care for this house. It is nothing like dear, dear Norland. Why, there is no pianoforte! What are we to do for pleasure? Emma Woodhouse: It seems we are left to devise our own amusement. I know a delightful game that Frank Churchill taught me, if only we had a box of letters, but alas, there is none. Or we could create riddles—I excel at solving riddles. Oh, I have it. Are you not all unmarried? My success at making matches is unsurpassed! Harriet Smith: Oh, yes, Miss Woodhouse is a marvel at matches! She persuaded me to dump my true love in hopes of marrying up. Emma Woodhouse: (sighs) We do not use the phrase, marrying up, dear, or the word dump. Harriet Smith: Oh, forgive me! Anne Elliot: I thank you for the offer, Miss Woodhouse, but in the past, I have suffered from those who interfere in matters of the heart. Elizabeth Elliot: Oh, pooh! You are not still pining for that seaman, are you? He was totally unsuitable. Anne Elliot: But I loved Frederick. Emma Woodhouse: Why was he found unsuitable? Did he have no fortune? Elizabeth Elliot: A seaman with a fortune? Are you daft? Emma Woodhouse: Excuse me, Miss Elliot. I have never made matches for seamen, as I seldom leave Highbury. Elizabeth Elliot: (gives her a derisive glance) There is no need to discuss it now. Anne’s former suitor has sailed. It has been more than eight years since Father and Lady Russell sent him packing. By now, his complexion will be as rough as walnuts. (brightening) My, I sound more like Father every day. Anne Elliot: Sailors have more wit and warmth than any other set of men in England! Elizabeth Elliot: Rubbish! And even if Frederick Wentworth should return, he will not look in your direction. You are so greatly altered he would hardly know you. Elinor Dashwood: (feeling sympathy for Anne, seeks to change the subject) Why have you not married by now, Miss Elliot? Harriet Smith: Yes, you are becoming rather long in the tooth. Emma Woodhouse: We do not remark on a lady’s age, dear. Emma Woodhouse: Cannot Sir Walter arrange a suitable match for you, Miss Elliot? If not, I would be glad to offer my services. 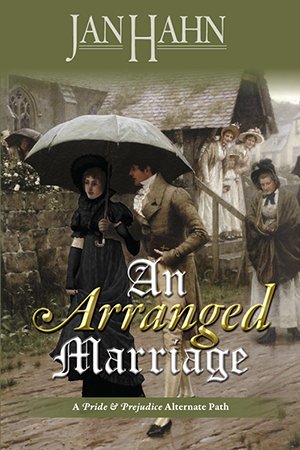 Elizabeth Elliot: Arrange! I have no need of an arranged marriage! We must retren—that is, we are moving to Bath, where I am assured the daughter of a baronet will meet gentlemen worthy of her notice. As Father and I travel in the most exalted circles, I will not settle for anything less than becoming a viscountess! Harriet Smith: Why, that means you will also move to Bath, Miss Anne. Since your sister will be swimming in men, surely she will share at least one with you. Emma Woodhouse: We do not say swimming in men, dear. It sounds vulgar. Elizabeth Elliot: Anne? Why should Anne go? Who will want her in Bath? She must go to Uppercross and tend our sister Mary. Harriet Smith: Is not Uppercross where the farmers live? I like farmers. (eyes glaze over) I know one farmer who has muscles that would twist your knickers. Emma Woodhouse: Harriet, you forget yourself! We do not use phrases like twist your— hmm, what are knickers? Marianne Dashwood: Anne, is your sister Mary sick again? Oh, but when is Mary not sick? Elinor Dashwood: Marianne! You overlook how often you fall ill.
Elizabeth Elliot: Every time you ramble around in the rain, so I hear. 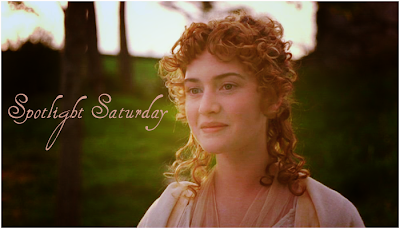 Marianne Dashwood: (flounces off to gaze out the window) Oh, how I long for Willoughby! Elinor Dashwood: It would be much more prudent if you married Colonel Brandon. Emma Woodhouse: Shall I arrange a match between Marianne and the colonel? Elinor Dashwood: But the colonel is an honourable gentleman, while Willoughby is nothing more than a rake! Marianne Dashwood: I like rakes. Harriet Smith: Which one is Lydia? EmmaWoodhouse: She is not here, dear. Do not ask impertinent questions. Marianne Dashwood: (takes a turn about the room, flouncing the entire time) What about you, Miss Woodhouse? When shall you arrange your own marriage with someone like Mr. Knightley? Emma Woodhouse: Oh, how you jest! Mr. Knightley and I would kill each other! I could not tolerate being told daily how spoiled I am. Harriet Smith: (giggles) He does know how to throw a hissy fit. Badly done, Emma, badly done! (giggles again) What about Mr. Frank Churchill? Did you not set your cap at him? Emma Woodhouse: I have never set my cap at any man. Besides, I think Frank Churchill favors you. Marianne Dashwood: You would do better to arrange a marriage between Miss Smith and Mr. Elton, for I have heard that Mr. Churchill is secretly engaged to Jane Fairfax. Emma Woodhouse: Secretly engaged! Frank Churchill would not do such a thing. That sounds more like Edward Ferrars. Did he not commit himself to Lucy Steele and tell nary a soul? Marianne Dashwood: What a spiteful thing to say! Elinor esteems Edward highly! Harriet Smith: (looks puzzled) Is that her way of saying Miss Dashwood has the hots for the man? Elinor Dashwood: I find this conversation entirely devoid of sensibility. As Anne asked in the beginning, why have we been called together? Lizzy Bennet: (out of breath) Pray, forgive my tardiness. I am attempting to elude a certain persistent authoress, and once I tell you of her, I feel certain you will wish to do the same. Anne Elliot: Do tell, Miss Elizabeth. Lizzy Bennet: Her name is Jan Hahn, and she is searching for characters to place in an arranged marriage. Harriet Smith: Is that anything like a shotgun wedding? Emma Woodhouse: (big sigh, shrugs shoulders) I give up! Lizzy Bennet: She wants to force me to marry Mr. Darcy. Mr. Darcy, of all men! Does she not remember that I said he was the last man in the world whom I could ever be prevailed on to marry? Who knows what she will try to do to you? I fear she may be deranged. We must make haste and depart this place at once! Jan Hahn: (looks around, appears shocked) Where is everyone? Are you the only one willing to enter into an arranged marriage? (her face falls) I . . . uh . . . I’m so sorry, but even I can’t dream up a man I could force to marry you, Miss Elliot! Good day.